It’s well known that Bollywood actor Vivek Oberoi is reprising Narendra Modi’s role in the latter’s biopic, titled PM Narendra Modi. The film is being directed by Omung Kumar and it is slated for release on April 12, to cash in on the upcoming general elections. 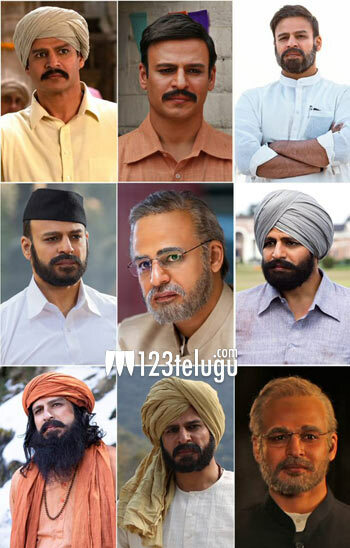 Meanwhile, a collage of Vivek Oberoi portraying nine looks of Narendra Modi was unveiled recently. The photographs showcase Vivek as Modi in the latter’s younger days to his formative years as a politician. PM Narendra Modi will be released in as many as 23 Indian languages. Sandip Ssingh, Anand Pandit and Suresh Oberoi are jointly producing the movie.